Writer/director Kenneth Lonergan’s moving and heartbreaking account of grief features breakout performances from everyone involved, and a story that lingers long in the mind. Lee Chandler (Affleck) has to return to his hometown when tragedy strikes. Harbouring emotional pain of his own, Lee must put that to one side to arrange the funeral of his brother Joe (Kyle Chandler) and care for his teenage nephew Patrick (Lucas Hedges). The drama slowly unravels as we learn the reason why Lee can’t move on in his own life. If La La Land fails to get a clean sweep come awards season, Casey Affleck might be a good bet for Best Actor. He hands in a stunning lead performance that’s understated and immensely powerful. His finest work to date, Affleck leads this story exceptionally well as an actor who is clearly at the peak of his craft. The supporting talent are all solid too with Lucas Hedges doing a stellar job playing a realistic teenager. Avoiding the usual clichés and exaggeration that usually accompanies films with a teenage focal point, Kenneth Lonergan’s script finds the simplicity of expression in the everyday. Hedges runs with this idea and delivers a very accomplished turn, made all the more special thanks to a great working chemistry with Casey Affleck. Worth the admission price alone for a truly amazing heart-to-heart scene between Affleck and Michelle Williams, this is a sobering and gripping story full of real emotion. It’s up there as one of the greatest exchanges of tragedy, angst and regret you’ll see all year. Immensely powerful and moving, Williams and Affleck keep you hooked as the narrative plays with the timeline, feeding the viewer snippets of back-story that slowly collates as the film progresses. Manchester by the Sea is a film that impresses throughout. The story is involving and feels genuine. The reveals are heartbreaking and the performances are top drawer. There’s even lighter moments that make this story all the more relatable. 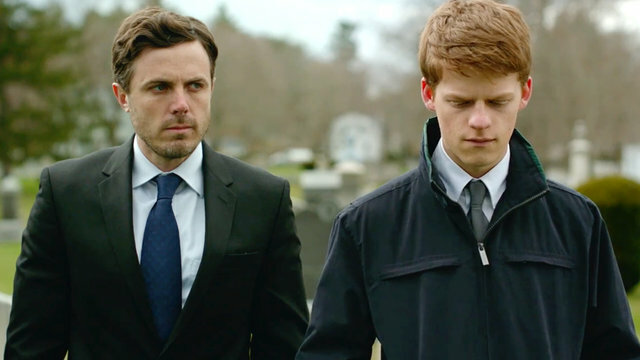 Manchester by the Sea is a sterling effort and sets up the rest of the year very well.